Looking for a bargain tablet? Hewlett Packard has just released its 7” quad-core HP 7 Plus Android tab here in the U.S. at a killer price point: just $99.99. The HP 7 Plus won’t set any speed or performance records, but it should take care of most of your basic mobile computing needs. The 0.65 lb device is built with a quad-core 1GHz ARM Cortex-A7 processor, 1GB of DDR3 SDRAM, 8GB of internal storage (plus a microSD expansion slot up to 32GB) and a basic seven-inch touchscreen with 1024 x 600 resolution. Unfortunately, though, you’ll need to make a few tradeoffs in exchange for the low price tag. The tablet runs the outdated Android 4.2.2 Jelly Bean operating system, and the 2MP/0.3MP camera setup may be too weak to get any real use out of. Another issue: the battery lasts just 5 hours, 30 minutes on a single charge. That’s fine out of the box, but as the tablet ages, you’ll get less and less time per charge. 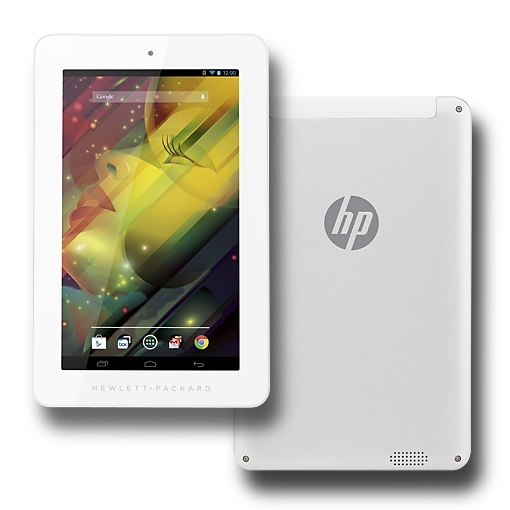 If you’re interested in giving this $99.99 bargain HP tab a closer look – or to purchase it – head over to the HP website. For a more powerful 7” tablet, check out the $229 Nexus 7, Techlicious’s pick for the best small tablet available. Yeah, low price will cost us more, actually. The gadget will retire anytime soon, then we have to buy a new one.